This story was written for College Town NC by Rilee Vo, a communications intern at Live It Up! Hillsborough Street, as part of a content sharing partnership. The Spin Doctors will headline the Bell Tower stage. Other performers include South 85, Great Father Whale, Milk N’ Honey, Quency, Katie Rose, local ComedyWorx entertainers and so many more. There will also be student organizations performing, like the N.C. State a cappella groups and the NC State Pipes and Drums. Bring non-perishable items to help Feed the Pack. The most needed items include canned fruits and vegetables (not green beans or corn), breakfast foods (not oatmeal), pasta and grains, snack items, beverages and condiments, and personal hygiene products. Live It Up! 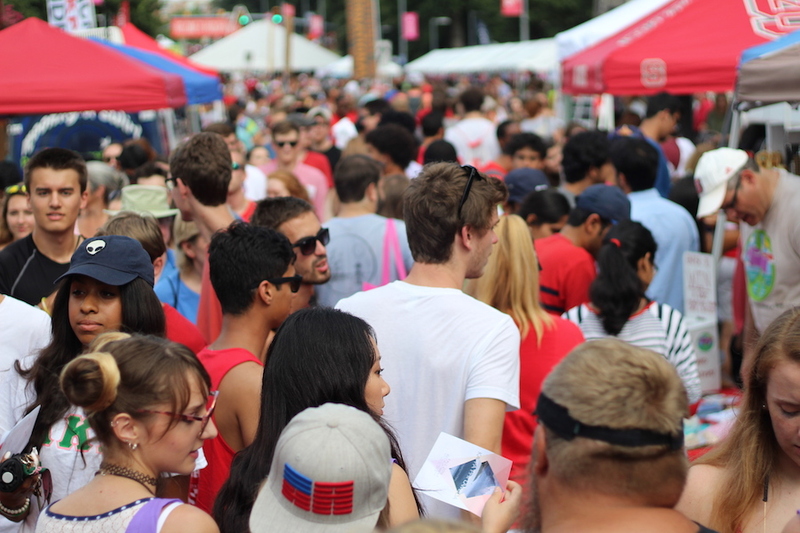 Hillsborough Street is the presenting sponsor of Packapalooza for the sixth year in a row. Stop by our booth to ride a Harley-Davidson motorcycle in a special partnership with Ray Price Harley-Davidson. Coca-Cola is also a sponsor this year. Look out for their tent, where they’ll let festival goers customize their own Coke bottles.